Part 1 in a free webinar series: Leveraging Demand Side Energy Management to Enhance Your Buildings and Save Money. What is DSM and why is it important? 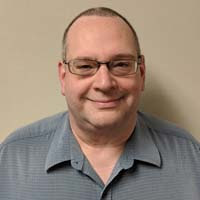 About the Presenter: Javid Butler, Senior Engineer, HDR Consulting, has more than 30 years of experience with control systems and electronic design. He has been published multiple times in industry publications, and has presented at many trade shows. His memberships include IESNA, AEE, ESTA, and local organizations in Las Vegas, Nevada. He holds LC, CEM and CMVP certifications. He also brings science back to science fiction under the pen name David Pax. Deadline is Monday for Green Builder Awards Program!